Houston, we have a problem. You see, these last few days we quite definitely have autumn in the air. Spring is full of suppressed emotion as everything is busy getting dressed up for their first grown-up dance. The air is heavy with anticipation. Will the object of our fixation be in attendance? Will we be able, at the critical instant, to pluck up the courage to speak? Will they have the courage to answer? It is all so full of promise, so full of angst. Autumn on the other hand, brings with it a different kind of excitement. Big changes are coming and everyone is old enough to appreciate them this time. Summer, so full of the stresses and pressures of modern life, the constant need to be somewhere, do something – or to be back home in time for whatever is next on the agenda is, thankfully, over. The children have either flown from the nest, the seed-head or they are just about ready to drop off the twig. It is a time of plenty, a time to refill the store cupboard. A time for some ‘me’ time. 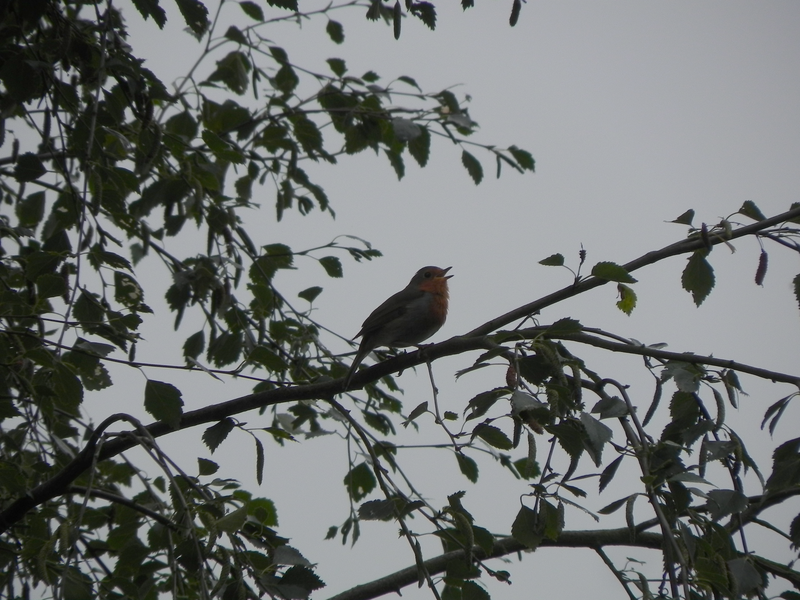 Which brings me to the Robin, who defends our garden from his station in the Silver Birch tree by the gate, he has started singing again. The problem, of course is that people in America have a different Robin to us. You guys have a kind of thrush – ours isn’t. I’ve made a recording of our Robin singing – you’ll find it at the end of the post. Does it sound anything like yours?